272 pages | 599 Color Illus. The doctor, dentist or related professional who treats children has a moral and legal obligation to diagnose correctly suspected maltreatment and to report it to the proper authorities. These obligations may bring the doctor into contact with the child protection system as well as the courts. The practitioner needs to be prepared for court testimony, and a foundation of knowledge about child maltreatment is essential. 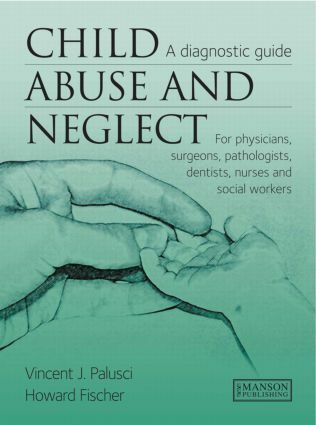 This book provides unparalleled images to assist the physician and dentist in recognizing, diagnosing, and reporting child abuse and neglect. Written by and for professionals in disciplines ranging from general and child abuse pediatrics, to surgery, emergency medicine, pathology, dentistry, nursing and social work, the book reflects current, and increasing, knowledge in this field. The authors stress throughout the importance of including a broad and representative range of possibilities in their differential diagnoses so that a non-inflicted condition is not labeled child abuse, and an inflicted injury cannot be mistaken for a more innocent condition.